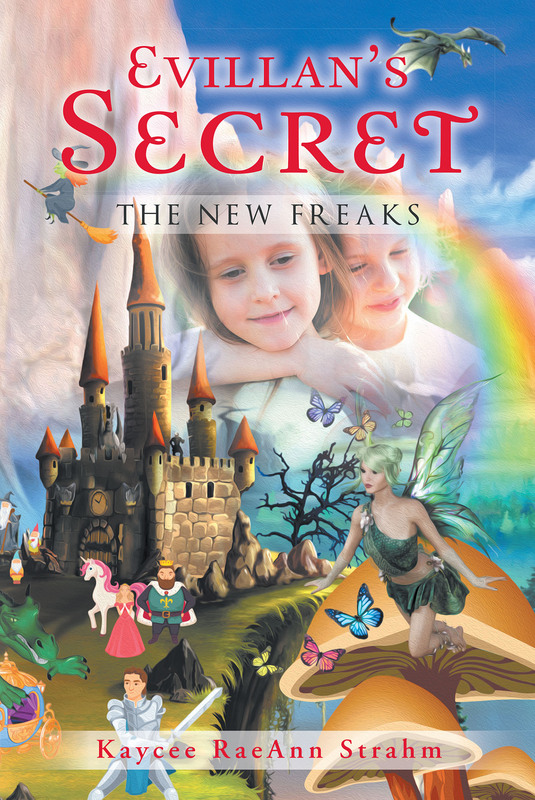 Newest publication "Evillan's Secret: The New Freaks" from Fulton Books author Kaycee RaeAnn Strahm tells the tale of Sahara and Carisa, two young witches from the Kingdom of Gerathon. As Sahara and Carisa begin to discover their magical abilities, they are pursued by the Keepers trying to steal their powers. El Paso, TX, January 24, 2018	(Newswire.com) - Kaycee RaeAnn Strahm is a member of the National Junior Honor Society. She is driven in everything she does. Kaycee loves animals of all kinds. She has two bearded dragons, one cat, and two dogs. She is always surrounded by family and friends who support her every ambition. Kaycee, a unique thirteen-year-old who has a love for writing all sorts of books from mystery to twisted romance, has completed her most recent book “Evillan's Secret: The New Freaks”: the adventures of two young witches who must escape the Keepers trying to steal their newly discovered magical powers. Published by Fulton Books, Kaycee RaeAnn Strahm’s book is the adventures of two young witches learning to use their powers. Sahara and Carisa live in the Kingdom of Gerathon. They have been friends as long as they can remember. The girls are polar opposites. Sahara is cunning. She is definitely someone not to mess with. Carisa, on the other hand, is kind and gentle. Despite their differences, the two cannot live without each other. One day after school, the pair decide to head out to the forest where they discover a little wooden shack near four ponds. They decide to investigate. When they step into one of the ponds, little stones suddenly bind to their skin. When they awake, they have lost their memories. The girls are found and taken to an orphanage where they must rely on each other. As they contend with a snobbish girl whose sole mission is to make their lives miserable, they begin to experience a flurry of horrific nightmares. Sahara and Carisa soon realize they been gifted with magical powers. As their visions and powers grow ever stronger, they encounter an old family friend, Lia, who offers them guidance. It is when they are forced from the safety of Lia’s home that their true adventures begin as they flee the Keepers who wish to steal their powers. Readers who wish to experience this enchanting work can purchase “Evillan's Secret: The New Freaks” at bookstores everywhere, or online at the Apple iTunes store, Amazon, Google Play or Barnes and Noble.